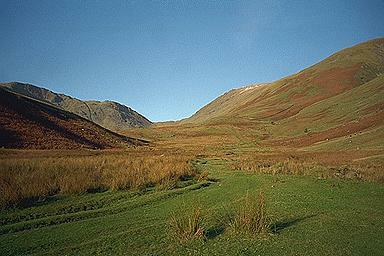 The vegetation is lush in the valley alongside Troutbeck Tongue. The view looks towards Threshthwaite Mouth displaying the vivid colours of a sunny afternoon in November. Larger version of this picture.